I have read answers on this site as well as the Wikipedia article, but they all add to the confusion. Some people suggest that a freely falling frame is an inertial frame. I learnt in classical mechanics that the frame attached to the surface of the earth is approximately inertial. Are there different definitions of it? The concept of inertial frames seemed easy and intuitive at first, but became complicated as I read more. So I am wondering wether you have to be well versed in general relativity to really understand this concept? If not, can anyone please explain the concept of the inertial frames, and how do we determine wether some real world frame is inertial? The principle is surprisingly simple. Suppose you are holding an object and you let go of it. What happens to that object? If the object just floats next to you without moving then you are in an inertial frame. If the object accelerates away from you then you are in a non-inertial frame. Where general relativity comes in is that in GR inertial frames can be surprising. For example if you are sitting in your chair typing on your computer than this seems like it should be an inertial frame. After all, you aren't going anywhere. But if you hold out your pen and let go the pen accelerates downwards away from you, and this shows you are not in an inertial frame. You are in an accelerated frame, where the acceleration is equal to the gravitational acceleration of the Earth. Now suppose you've just jumped off a cliff and are plummeting downwards (ignore air resistance). This seems like an accelerating frame, but if you now hold out your pen and let go the pen won't move away because both you and the pen are falling with the same acceleration. So this is an inertial frame. General relativity explains why frames can look inertial to some observers but not to others. The explanation is very simple but involves some maths that won't be familiar to most people so I won't go into it here. The bottom line is not to worry about anything outside your immediate vicinity. You can always tell whether your frame is inertial or not by observing what happens to an object you drop. 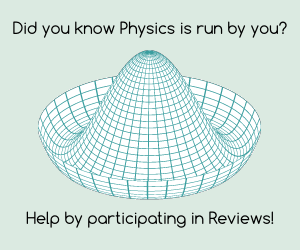 If you're interested in finding out more about this I go into more detail in my answers to Two meanings of acceleration in gravitational fields? and Can we determine an absolute frame of reference taking into account general relativity? The basic definition is, that physics has to be the same in every inertial frame (Classical Mechanics). As one gets fictitious forces in accelerated frames (e.g. Centrifugal, Coriolis force), these frames are not inertial. But if the forces in phenomena you want to observe are way bigger than the fictitious forces, you may approximate your frame (on the surface of earth) as inertial. SR and GR further build on this concept but aren't necessary to understand it. No, you do not need to understand GR to understand inertialframes. An inertial reference frame is one in which Newton's first law holds. Newton's first law is a core concept in classical mechanics that you probably learned about in high school. The surface of the Earth is approximately inertial, so long as you treat gravity as a force. An example of a non-rotating frame would be if you're on a merry-go-round: Newton's first law does not hold; free objects appear to move (thanks to centripetal force). Can we determine an absolute frame of reference taking into account general relativity? Apple falls for which of these 2 reasons? Two meanings of acceleration in gravitational fields? Normal frames, locally inertial frame and freely falling frame? What exactly is an invariant quantity?